The information contained in this alert is the sole responsibility of RSF.In citing this material for broadcast or publication, please credit RSF. Punishment by revenge or "Ghesas" of teenagers still being continued in Iran! The seventh of such sentencing was in 2008-2009. Iran has carried out the death sentence of 7 teenager in 2008 and is going to carry the death sentence of another teenager in the city of Isfahan on February 5 this year. the 7th teenager was an Afghan and his name was Mullah Gulhassan.The next teenager is Bahman Salimian who commited the crime when he was 15 years old and has spent already 12 years in prison, but the regime is going to send him to the gallows on February 5 in the city of Isfahan. The Article 37 of the convention for the rights of child prohibit execution of childeren under the age of 18 and Iran is one of the signatories to this convention. Mr. Mohammad Mostafaei the lawyer for childerens said: The news indicate that Bahman's death sentence is going to be carried out. Last year at least six teenagers were sentenced to death and were sent to gallows. Mohammad Hassanzadeh, Rahman Shahidi, Mohammad Mozafari, Behnam Zare,Reza Hejazi and Gholamreza H.
"The country isn't in good shape and if this trend will continue, it will face with crisis and different revolts, therefore victory for us in this election is the most important principle and goal ." Military commander: Who said the military personnel are intervening into election? Agents of the Islamic Republic continue vandalizing the properties of Shirin Ebadi! 1st picture: Mercenary writer , shame on you! Mr. Karubi the past speaker of the parliament protested to the intervention of military officials into election! Mr. Karubi in a strong reaction protested to the speech of chief commander of Iran Armed Forces and accused him of becoming the "head of the army personnel wanting to interven in the election". Mr. Seyed Hassan Firuzabadi on Monday on the 30th anniversary of revolution clearly supported Mahmoud Ahmadinejad. He said in his speech that : "The Government of Mahmoud Ahmadinejad has shown that ; presidency need more capacity and movement for work and it is not suitable for retired individuals and very old people." In response Mr. Karubi said: "Being old isn't bad but leting your mind get old is bad" meaning Mr. Firuzabadi can't remember what Mr. Khomeini said in the early of the revolution that the military forces can't interfere into election. Picture shows Fars newspaper reporter Morteza Mesbah removed the sign of Shirin Ebadi's office. In the past week , Shirin Ebadi was the target of the agents of the Islamic Republic. In one occasion they attacked on her law office and removed her sign and ..
About Khavaran cemetery , the mass grave of political prisoners. Recently , the Islamic Republic's agents decided to change the cemetery into a park,they brought grader and boldousers in Khavaran to work on their project ( to remove the evidence) , which angered thousands of people inside and outside Iran. including International human rights organizations. the death angel: Did they executed you again? Ayatollah Montazeri protested on destruction of Khavaran cemetery!
" Aparently the past regime didn't bother the deads, but unfortunately now, they do bother with the grave of the deads.Lets assume those who's grave was bothered were all etheist? Many of them were son of moslems and the moslem's grave must be respected,even non- believer shouldn't be insulted......., specially some of them had one year to finish their prison term, but they have made something and preparation and then execution.But they have left the world with moslem faith, they have left the world with the belief in Islam. I remember, there was a man by the name of Islami, he was the prosecutor in Shiraz , he brought a case file of a girle who was executed, he wrote to her father and mother , not to worry , dont stop reading the qoran and Nahjolbalaghe. We will deal with their grave .?" "Centre for Human Rights Defenders" in a statement also condemned the destruction of Khavaran cemetery by some of the agents, who apparently were trying to remove the evidence from the cemetery and were planning to change the cemetery to a park or green field. The Centre for Human Rights Defenders aknowledged that Khavaran is the burial site of the victims who were political prisoners and were illegally killed and buried in mass grave. Mr. Abbas Jalilian the Kurdish writer is arrested in Kermanshah province! Kurdistan Human Rights organization repoted that; Mr. Abbas Jalilian the Kurdish writer is arrested on Thursday January 15 in the city of Islamabad-west in Kermanshah province. The security agents at night time attended at the house of Abbas Jalilian while he was with his blind and ailing father alone and arrested him. Abbas father was asking about the identity of the agents but confronted with their insulting behavior. The agents searched the house and took his computer case and many of his literary hand writting. Abbas parent attended at the office of the Ministry of Information in the city of Islamabad the west , at first the official at the office denied of any information about the situation of Abbas but later confirmed that abbas has been transfered to Kermanshah. Upto now the family members of Abbas do not have any information from him and he did not call his family . Mr. Abbas Jalilian is a renowned Kurdish writer in the field of Kurdish literature and has published several books including : Rangnameh, Zarineh, Simineh, Bashur Kurdish -Farsi dictionary and has written many articles about language and literature in Kurdish and Farsi publications. Website of Shirin Ebadi was hacked(removed ) from internet! The Islamic Republic regime in Iran in continuation for putting pressure on the " Centre for Human Rights Defenders" in Iran, has hacked (removed ) the personal website of madame Shirin Ebadi from the internet. (New York, January 21, 2009) – Human Rights Watch today announced a Hellman/Hammett grant, awarded to persecuted writers, for the Iranian human rights activist Mohammad Sadegh Kaboudvand. He is serving a 10-year prison term in Iran for his writings and is in a critical medical condition in urgent need of care. Kaboudvand’s wife and three children last heard from him on December 16. On December 17, Kaboudvand, whose parents both died of heart attacks, suffered a heart attack in prison, said his lawyers. He had already been in fragile health because of a previous heart attack, high blood pressure, a kidney infection, and a prostate condition. According to his lawyers, the authorities have rejected requests from prison doctors to allow him access to specialists for medical care that is not available in the prison medical center.Human Rights Watch called on the Iranian government to grant Kaboudvand the medical care he needs to treat his life-threatening conditions immediately and to end his unjust confinement. Human Rights Watch reiterated its calls on the government to repeal the vague and arbitrary provisions of its penal code used to silence critics and activists who seek to exercise their rights to free expression and assembly.Human Rights Watch started the Hellman/Hammett program in 1990. Since then, it has awarded grants to more than 600 writers from 91 countries. It awards the grants every year after a selection committee composed of authors, editors, and journalists who have a longstanding interest in free expression issues review nominations. Alaei brothers are sentenced to nine years imprisonment! Beware: If you are a doctor and want to work voluntarily in Iran on AIDS or....the Islamic Republic won't give you a medal instead you may end up as a person trying to push for velvet revolution and get six years imprisonment. On Monday January 19 the judiciary power of the Islamic Republic sentenced Doctor Kamiar to three years and Doctor Arash to six years imprisonment. Mr. Masoud Shafiei the lawyer of Alaei brothers told to Radio Farda that he has 20 days to appeal the decision. Khavaran is one of the world famous political mass murdering cemetery and the Islamic Republic is trying to change it into a park! By destroying the evidence, the Islamic Republic regime is trying to change "Khavaran" into a park and by doing so , they brought bulldozers and graders into the "Khavaran" and is planting trees on it! 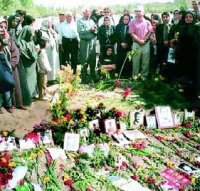 "Khavaran" is known in Iran and the world as a place in Tehran where the oppositions believe during the summer of 1988, Islamic Republic regime has murdered thousands of political prisoners and hastily buried them at night in it. Several victims family members reported that; on Jan.9 - 16 regime's agents brought bulldozers and graders into Khavaran and planted trees on it. Mr. Jafar Behkish who lives in Canada has lost six members of his family during the mass murdering of political prisoners told to Radio Farda that: "We do not have much news about the destruction, for example; we do not know how deep they have excavated the earth and whether they have removed and transfered the remainder of the victims to another location." Every year in September the victims family members were gathering in Khavaran to honor their loved one. 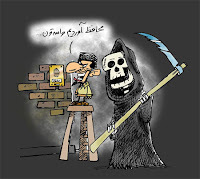 People of Iran , Not to keep silence and start protesting against the "Government of illegal organizations"! Ayatollah Montazeri One of the religious authority critical to the Islamic Republic, on the anniversary of the revolution once again asked the people of Iran not to keep silence and start protesting in every condition to the "Government of illegal organizations ".
" The people are the owner of the country , you can't deny all these principles that are in the constitution which are about the people's rights. You can't govern the people with illegal organizations." Movement for free will is growing and will prevail in Iran! Pressure to silence and to censor a good and well watched television program known as "Navad" meaning 90 about sports in Iran and its anchorman Mr. Adel Ferdousipoor by the open and hidden officials of the Islamic Republic brought too much anger, more among the younger generation of Iran. On its last program show, while there was speculation that the program might be stopped , Mr. Ferdousipoor's SMS message receiving from the audience was also confronted with problems. This was happening while the program was on the air and millions have witnessed the problem Mr. Ferdousipoor was facing and the injustices by the Islamic Republic. When the "Sardars" meaning commanders are present in the sports, there will be left nothing of Adel Ferdoucipoor and justice. 4-" Sardar " Mostafa Ajorloo - Past owner of the " Pas" club and president of the "union of soccer clubs"
5- " Sardar Aziz Mohammadi - The president of the organization of "League of Soccer Federation"
Dictatorship to what extend? The SMS championship of the " Navad " program was also cut off ! In defense of truth and rightfulness. The supporters of “ Navad “ program in an internet invitation have asked the people to send up to 5000,000 SMS to support Adel Ferdousipoor and Its program “ Navad “ and at the same time also do protest against the pressure of Iran Physical Educations Organization . What surprised Adel was that, the system receiving the SMS messages for this program was not working. It only worked for a few seconds and then failed. Mr. Ferdousipoor then asked from the officials in the Islamic Republic and in the Communication Ministry to respond to this problem. Why the Iranian youth is condemned for not having a real amusement and in general a happy day? Mr. Javad Alizadeh is arrested ! This morning Mr. Javad Alizadeh a human rights activist has been arrested by the security agents in the city of Sanandaj. After release from prison on December 24 , Mr. Alizadeh several times travelled to Kurdistan for following up on the situation of human rights. On thursday morning January 15 ,09 Mr. Allizadeh was arrested while attended on a meeting honoring Mr. Ebrahim Lotfolahi ( the Kurdish student who lost his life while he was in the office of the Ministry of Information in the city of Sanandaj ). Mr. Alizadeh is one of the colleagues of " Human Rights Activists in Iran" .Mr. Alizadeh was student of human rights when he was expelled from Alameh Tabatabaei University.After arresting him , the security forces did transfered him to an unkown location. "You the Iranian people get out in the street and protest against the barbaric actions of these impious creatures." Ahmadinejad the president of the Islamic Republic regime in speaking with Aljazira , Alalam and PressTV in a message asked Palestinian living in occupied tritories to come out to the streets and to protest against Israel . He also asked the Israeli soldiers not to follow the orders of their commanders in killing women and childerens.The president of the Islamic Republic asked the resident of Israel : "You the people who are living in occupied tritories under the oppression of Zionism, with any religion , race or faith that you have , at the end you are human, it is time that you think and ask from the ruling zionist regime , that why acting this way against the people of Gaza? Why killing ? Why acting this way with human who are dear to god ? and ... "
One must tell him that ; a foreign national has no right to tell the people of another country to protest against their government and if that foreign national is a president the responsibility becomes more in what to say and how to say it. This is an open intervention into the affair of another country.One must tell to Ahmadinejad that; it is none of your business!? "You the Iranian people living under the occoupied Apartheid Islamic regime; get into the street and protest against inhuman act of this regime. Time has come; you think and ask the apartheid Islamic regime , why they act this way against the Iranian people? Why they murder or kill political prisoners? Why they act this way with humans who are dear to God? Why they send young offenders to the gallows? 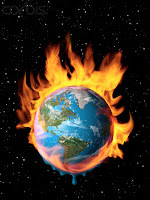 Why the president of the Islamic Republic regime is trying to pour oil into the fire of Gaza!? To continue the oppression in Iran against the growing protest more quietly ? Or the price of oil is so low and crisis may help increase the price!? One thing is clear . Islamic Republic is in deep economic crisis and unable to solve. The security agents attended at the house of Bahai's in Tehran and arrested several members of their families. Based on a coordinated plan the security forces have attended at the house of 10 Bahai families in the city of Tehran and arrested several persons and transfered them to Evin prison. The agents searched the Bahai families house , confiscated their religious books , pictures and computers. jinous Sobhani, Shahrokh Taef, Azizolah Samandari, Payam Aghsani, Didar Raouf , and Nima Haghar. 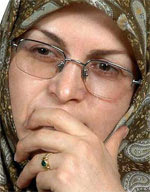 Ms. Sobhani was working as secretary of the "Centre for Human Rights Defenders". The regime also continued to arrest Bahai's in the city of Ghaemshahr, Sari and Semnan. The Islamic Republic apartheid regime must not be tolerated and the pressure must continue on. Islamic Laws & judges ( Sunni & Shiite)dealing with criminals and extra marital relationship. First picture is showing a woman dying from stone ( Stonned to death) by Islamic Republic in Iran and the seconed picture shows that a police officer has been sentenced to death by decapitation in Saudi Arabia. In the last two years 230 criminals in Saudi Arabia were sentenced to death the same way. Last week three men in the city of Mashhad were sentenced to death by stonning in Islamic Republic in Iran and 10 people are awaiting to die in the same way. We are worried about the life of Shirin Ebadi ! 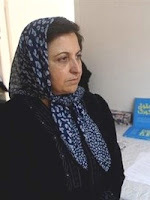 Mr. Abdulkarim Lahiji the president of "Iran's Human Rights Society" and the vice president of the (fidh) in an interview with Roozonline expressed that he is worried about the security of Shirin Ebadi. He said : The actions that are taken against Shirin Ebadi is impossible without the permission by the Government officials.He added that ; The Government of the Islamic Republic is responsible for anything that will happen to Madame Shirin Ebadi. Alaei brothers need your help today ! The "Physicians for human Rights" in an statement announced that; the Alaei brothers - Kamiar and Arash , the pioneer doctors in struggle with AIDS are in prison in Iran for more than six months and need the help of all people. They have spent six months in prison without any charges. Just last week in a made up court, they were charged with relation to an enemy government. Do something to save the life of Alaei brothers! The "Physicians for Human Rights" expect at least 500 emaile , Telephone or letter be send to the United Nation. Are you the first person doing this humane action? The initiative by Alaei's brother in saving the lives of AIDS patient in Iran and other countries isn't a crime but it is a medical action. Act today for their freedom. Judy Williams 1997 Noble Peace Prize winner : I'm worried about Shirin Ebadi! Ms. Judy Williams together with Shirin Ebadi and several other women Noble Peace Prize winners formed the "Association of Noble Women" in 2006 . She said; she is still worried about her Iranian colleague. Whoever is listening to this interview ( interview with Radio Farda) and can write letter to the Government of Iran , must demand for the protection of Shirin Ebadi. Each of us by taking a step can change the world to a better place than it is right now. I have a special respect for them ( human rights defenders in Iran -IWC)because they are working in a very difficult condition and that is the only way they have. Gaza, a pretext to suppress the civil rights organizations! Mr. Alborz Mahmoudi believes that: "the government of Mahmoud Ahmadinejad is making a "smoking gun" inside Iran for the defence of oppressed palestinian against Israeli's military actions , but at the same time is busy suppressing the civil rights organizations." As a result, after the closure of "Kargozaran" newspaper and the attack on the office of the "Centre for the Human Rights Defenders" and also the law office of Ms. Shirin Ebadi , now they are planning an attack on "Daftare Tahkim Vahdat" ( the student organization). The government of Ahmadinejad can no longer fool the young Iranian who form 70% of the countries population with their " smoking gun". The pro -Government News Agencies and newspaper such as: Keyhan, Irna,Fars, Reja news website , Farda and Jahan News are in coordination with Ahmadinejad's Government action against civil rights organizations inside Iran. Mr. Mansur Osanlu's wife: "What is the meaning of action against national security."!? Osanlu's wife: They have sentenced him to five years imprisonment and it's two and a half year that he is far from us.Why the officials of the Islamic Republic don't say that we have put him into the prison because of the union. Whenever i go to see the officials , they tell me that, he is charged with " action against national security". I'm worried, because we have lived our life with honour , by working and employment and with honest mean. 1-Mansur osanlu the president of the board of Bus Workers union is more than a year in prison. 2-Recently Mr. Mohsen Hakimi and Mr. Bijan Amiri the two labour activist were arrested. 3-A few weeks ago the trial of five board member of the "Haft- Tapeh Neishekar " workers union was announced and they are now waiting for their sentences. 4-On last Saturday Mr. Ebrahim Madadi the deputy of " Tehran Bus Workers Union " was arrested. Students at Shiraz University gathered to protest! The students continued their protest for the imprisonment of four Shiraz University students. These students were imprisoned since last Saturday when they were summoned and then attended to Shiraz Ministry of Information office. They are charged with " action against national security and insulting the Islamic Republic officials". The students ended their protest when they heared that the imprisoned students were released on bail. But , later they found out that; The Ministry of information have prevented for their release. The students again went on protest in University campus central circle and gave an ultimatum to Shiraz Ministry of Information to release the four student in 30 minuites . When the students found out their colleagues are still in prison , they gathered and continued their protest by chanting: "Imprisoned student must be released" and " political prisoner must be released". "We must identify the zionist wherever they are and kill them!? "Therefore revolutionary execution of them wherever they are or wherever they hide , is the least punishment of these bloodsheding human killers." These words are coming from the mouth of Keyhan manager in charge Mr. Hossain Shariatmadari.!? 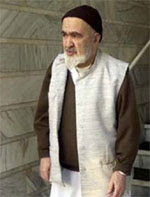 Hossain Shariatmadari was a member of " Sepah Pasdaran " ( Guardian Corps) intelligence after the revolution. He was also an interrogator of dissident Iranian -political prisoners. Shariatmadari is the most secretive -radical islamist who upto now , has done his outmost to prevent peace, freedom and progress embrace our nation. Together with Judge Saeed Mortazavi , they prepare scenario against journalists, writers, women rights advocates, bloggers, human rights defenders ,students and reformers. What happens if 1,000,000 members of the "Iranian teachers union" for their human rights , outstanding salaries , benefits , living standard and salary increase boycut their classes? Islamic Republic regime has suspended responding the demands of teachers until the end of Gaza crisis. Why ? No one can understand. What is the connection of Gaza crisis to Iranian teachers demands? Islamic Republic regime in Iran has arrested 11 members of the teachers union central council . Around 20 central council members decided to gather in front of the parliament to protest for the sake of their demands . They wanted to do it quietly and negotiate with members of the parliament .They didn't call teachers all over Iran to join them and boycut their classes in protest. Those teachers arrested were detained for three days and were released on bail on last Wednesday . The regime asked them not to gather again in front of the parliament. After the arrest of 11 teachers central council members, other teachers organizations has threatened the regime for all out protest by teachers in all over Iran and demanded for immediate release of detainees. Because of the fear ,the regime has released the detainees. "We secured your rights and approved the necessary process.Now you can't blame us. Why did you come here? You must go and get your rights from the government. The parliament has no responsibility anymore." The Ministry of Information has threatened the central council members to stop feeding the counter revolutionary news network and told them: Now that the people of Gaza are under pressure , you shouldn't come to the parliament." Despite of threat, the teachers union has called their demands be fulfilled or they will call their member teachers all over Iran for protest. Bazari, Dawoodi, Ghoreishian, Baghani, Badaghi, Abdi, Mir -Akbar Daghighzadeh, Rahmati, Dehghan, Ziabari and Ghanbari. The Secretary-General is greatly concerned about reports that Iranian lawyer, human rights activist and Nobel Peace Prize laureate Shirin Ebadi has been threatened in recent days, her Center for the Defense of Human Rights broken into and materials taken, and that hostile crowds have mobilized today outside her office and home. He calls on the Iranian authorities to take immediate measures to prevent any further harassment and to ensure Shirin Ebadi's safety and security. Gangs of the Islamic Republic regime attacked on Shirin Ebadi's house- the president of the "Centre for Human Rights Defenders" and Noble Peace Priz winnner!
" Ebadi supports, and Israel continues its crime " . They also broughts down her business signe and destroyed it . Later these individuals were dispersed by police. This has happened while the Centre for Human Rights Defenders in Iran earlier released a communique and condemned the violence in Gaza and asked International communities and human rights defenders around the world to press for ending the violence.